Entry filed under: Electronics, PIC18F, Uncategorized. 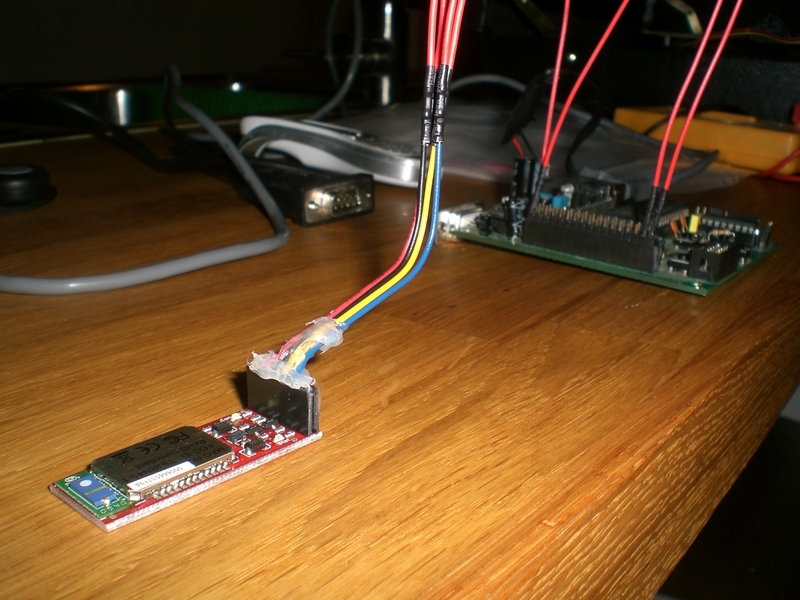 Tags: 18F4455, Bluetooth, PIC18F, Pinguino, processing, rommelrubot, serial. I have a similar RC Car project going, but I’m having trouble getting serial data on these terminal programs on Ubuntu. One difference is that I’m using Arduino Duemilanove but I have the same wire connection. I tried both 9600 and 115200 baud rates, but don’t see anything on serial comm via GTKTerm or Minicom. I enable serial via Blueman software instead of hcitool. are you also using the bluesmirf chip? Then tje baudrate is 11520b. Have you connected the tx from your chip to the rx from you bluesmirf and vice versa? What port do you connect to in ubuntu? /dev/rfcomm0 ?